After many months we have finally gone public with our project in Sweden. 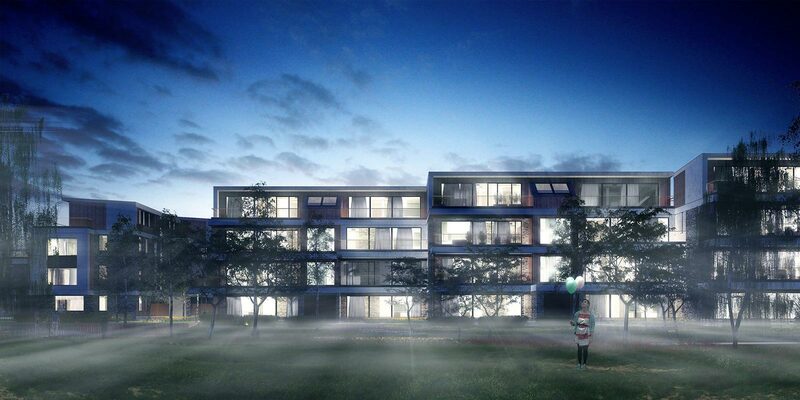 Skummeslövs Ängar, (which translates to Skummeslövs Meadows) is a residential development situated on the west coast of Sweden, about 90 minutes from Copenhagen. 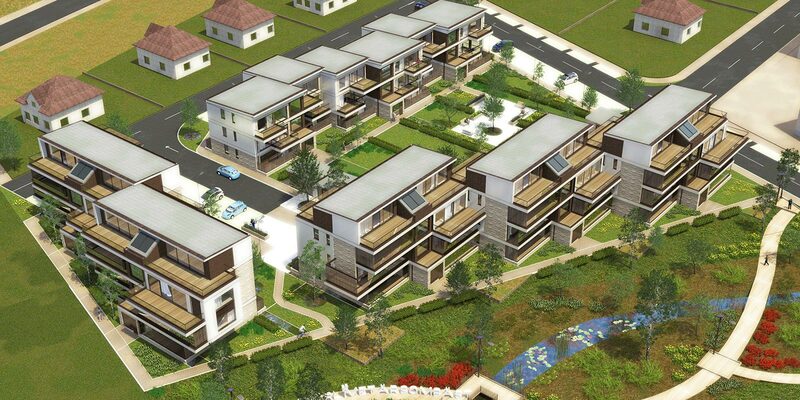 The project involves a large masterplan with a variety of different zones. At the centre of the masterplan is the nature park, which acts like a green lung and connects the zones together. 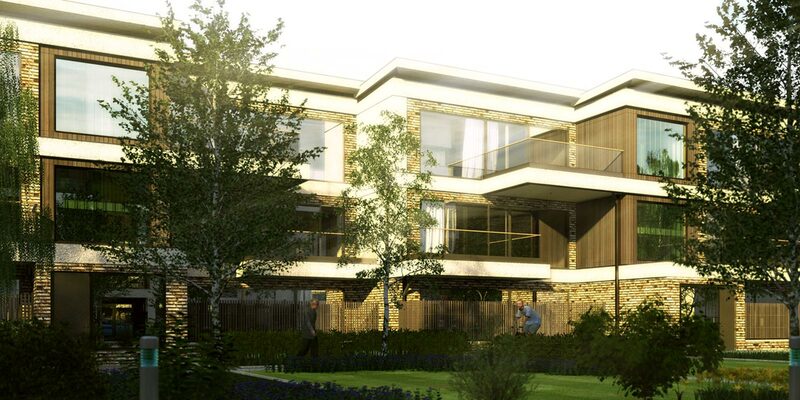 Although villa plots are available to buy now, the site will be phased and a large amount of work has gone into developing our first plot that contains apartment buildings. The plan for this plot consists of 3 building blocks. 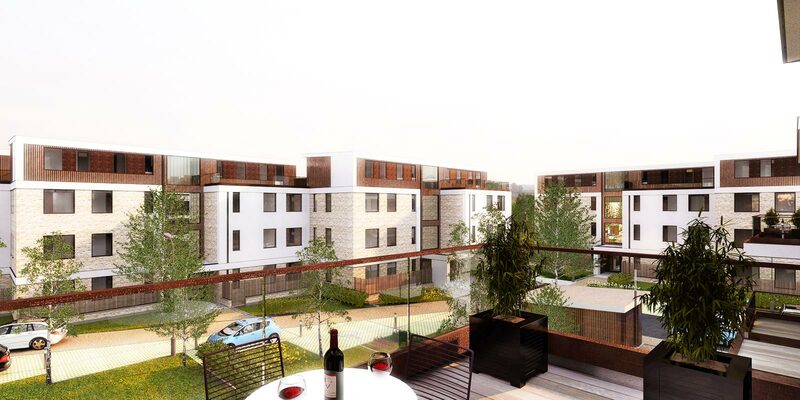 Two of these blocks contain flats for sale, and are situated on the perimeter of the plot, taking avantage of the views and the sun. The rental block sits behind these and overlooks the central garden. The terrace building has been designed with a clear goal. 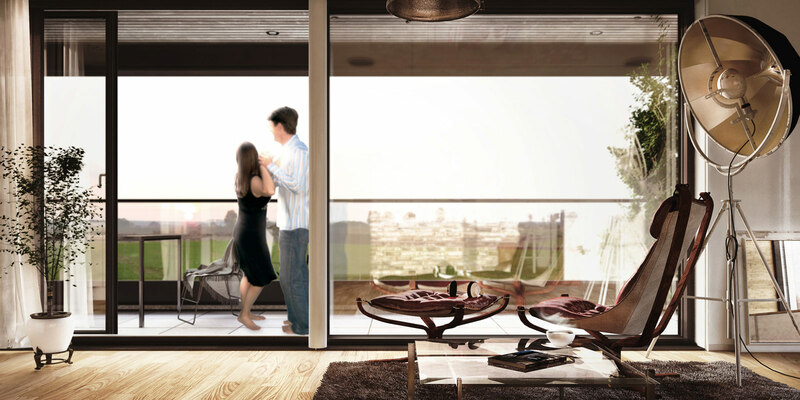 To maximise the views out and connect the apartments to the beautiful surroundings. Instead of thinking of a balcony as an ‘add-on’ they become the main feature and in some cases as large as the open plan living area. In most cases these balconies feature full height retractable glass. This allows total flexibility to enjoy the beautiful surrounding throughout the year. 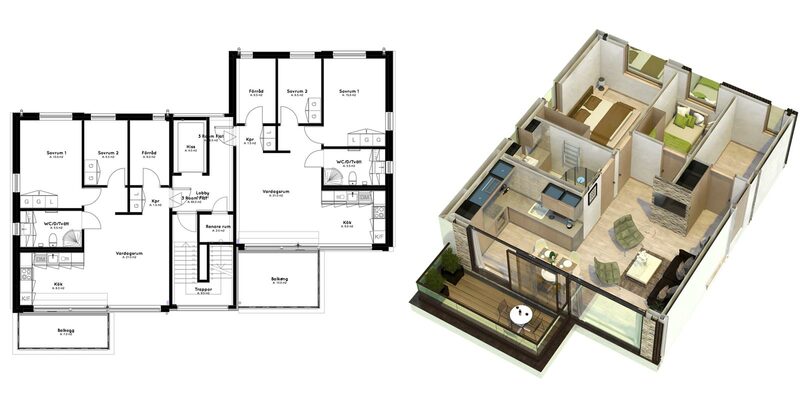 The buildings have been designed to ‘shift’ in plan from the adjacent flat and accesses via a central stair and life zone. 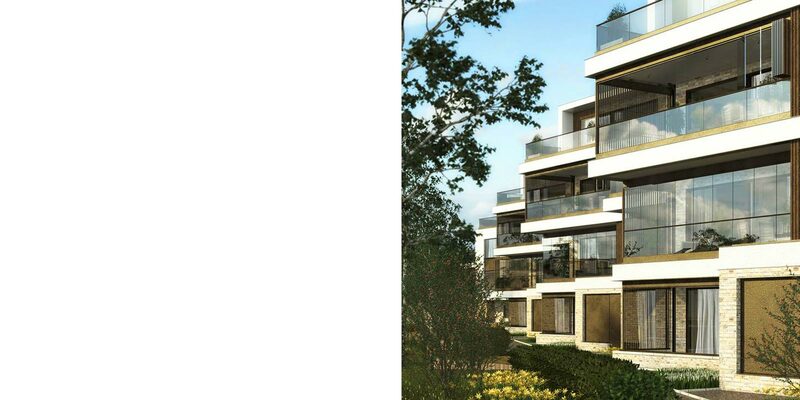 All the flats are 3 room apartments apart from the top floor which steps back in plan to form a 2 room apartment with exceptionally large terrace space. 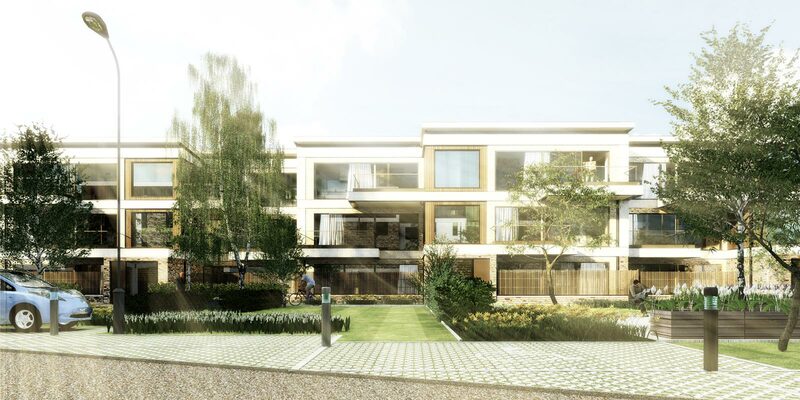 Each apartment has a very simple and logical plan which separates the social spaces from the private, representative of the building sides, and entrance side and an open side. 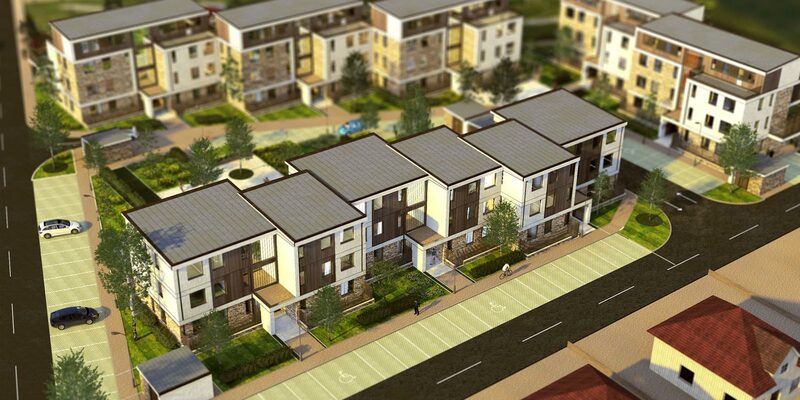 The rental building has been designed with the same fundamental though process as the sale flats. 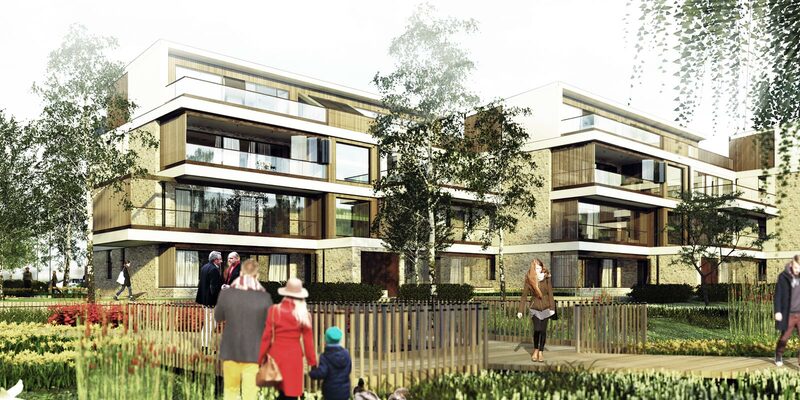 This building type is very similar in plan to the terrace however the building is 1 storey smaller. 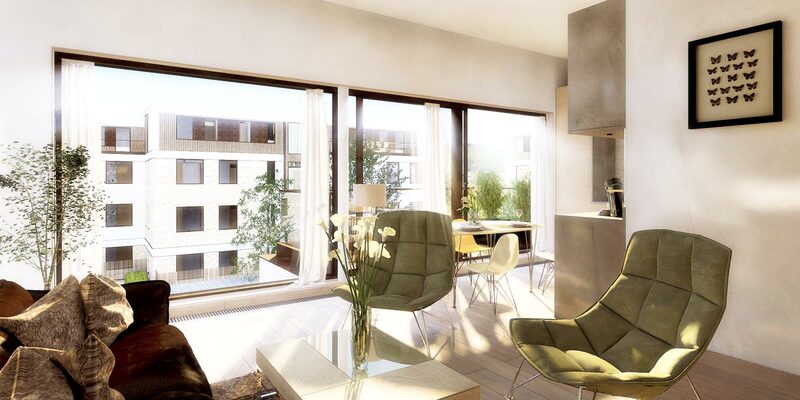 These apartments all face south and benefit from the exceptional light quality Sweden offers. 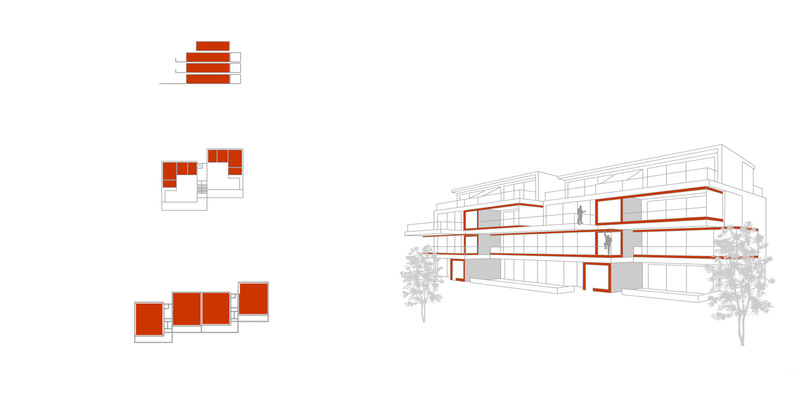 The material palette for the buildings is simple and reflects the massing. The lower levels comprise of a light buff brick with lime mix mortar. Above is a mixture of render and natural timber slat cladding. 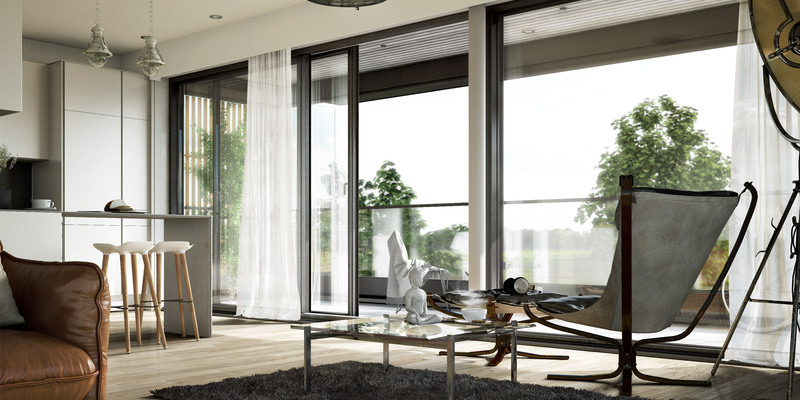 Fully glazed sliding doors allow maximum daylight and views out towards the fault. The material palette inside has been kept intentionally neutral. Light timber flooring is mixed with birch wood fixed furniture, which the brickwork makes an appearance as the central feature in the open plan space. Visit the website www.SkummeslövsÄngar.se for more details about the project.